Similar to other holy books, the Zohar connects us directly to the consciousness of a spiritual giant; a righteous soul. 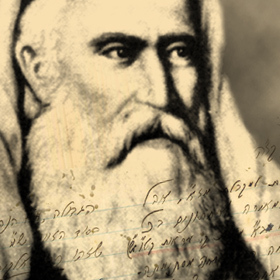 In the case of the Zohar, that righteous soul is Rav Shimon bar Yochai—the author of the Zohar. The kabbalists teach that when a righteous soul writes, his essence is injected into the work. For thousands of years, students of Kabbalah have sought to study the works of the great sages in order to connect to the consciousness, power, certainty and clarity of these spiritual masters. 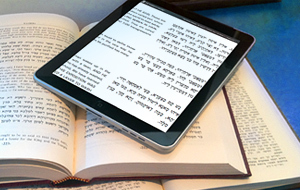 Our study of the Zohar connects us directly to the consciousness of Rav Shimon. “One day, as Rav Shimon bar Yochai went out with his son, Rav Elazar, they saw the world plunge into darkness. All light gone, and an angel appeared, an angel the size of a huge mountain, blowing thirty flames of fire from his mouth. The angel answered, “I am going to destroy the world, since there are not thirty righteous men in this generation. The power of Rav Shimon’s consciousness is stronger than the collective force of humanity. In essence, he lives deep inside the atoms of the letters of the Zohar, his energy is awakened each time pursue the text of the Zohar—either by scanning its Aramaic letters with our eyes, reading its profound words aloud (in any language), studying its text with a spiritual teacher, or sharing its wisdom with people in need. While secular scholars have argued for hundreds of years about the Zohar’s authorship, this is a meaningless debate from a spiritual perspective. Once we appreciate the greatness of the Zohar’s wisdom, it becomes clear that the author was a truly righteous soul. Join Michael Berg, co-director of The Kabbalah Centre and editor of a first-ever unabridged English translation of the Zohar, as he shares wisdom and insights into the life and work of Rav Shimon bar Yochai.